Mysore mainly noted for its palaces there are about seven palaces in the city. Mysore is located at the feet of the Chamundi Hills. Mysore is rich in amazing artwork and architecture of palaces. Mysore is famous for a Mysore style of paintings, Mysore Pak (sweet dish), Mysore Peta (silk turban) and Silk Saree. You will be completely taken over by the charm of this city through Bangalore-Mysore day excursion. Explore the Mysore palace and admire its marvelous architecture. Get to know about the royalties who lived here and the kind of life they led in old times. The Guide will enlighten and illuminate your experience through his knowledge. Early morning around 6:15 AM, our chauffeur will pick you up from your Bangalore hotel and drive to Mysore for the Bangalore to Mysore tour package, on the arrival of Mysore our local guide will join you. 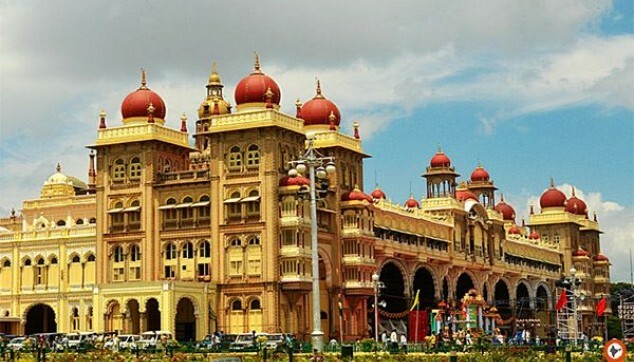 Mysore palace is situated in the heart of the city based on the Indo-Saracenic architectural style and concoction of Hindu, Muslim, Rajput and Gothic style. The palace is well-heeled with artwork, carved ceilings and walls of the palace all are mind blowing. The palace is now converted into a museum that exhibits, antiques made of marble, gold, silver and alabaster from around the globe, remarkable souvenirs, alluring paintings, precious jewelry, royal costumes and other items, which were once possessed by the Wodeyars. After palace visit, enjoy lunch in local Restaurant (fixed menu). After Lunch, drive to Chamundeshwari Temple situated on the hilltop of the Chamundi Hills, named after the goddess Chamundeshwari or Durga. 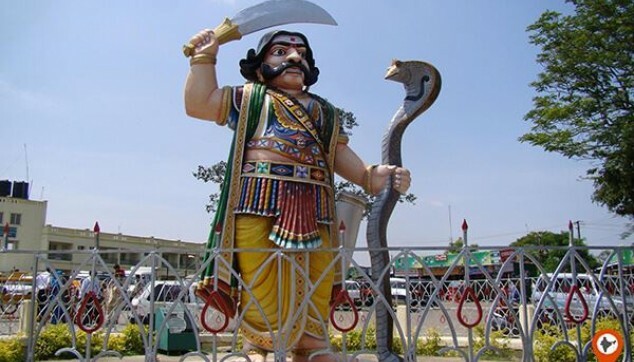 Chamundi hills are surrounded by natural beauty, enriched with various birds, animals, and trees. While going back to Bangalore en route the visit to Philomena's church. 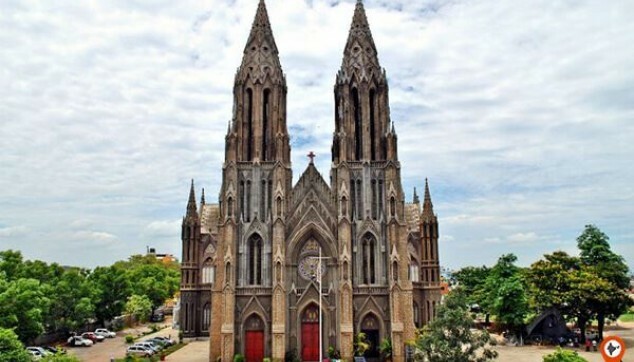 St. Philomena’s Church is one of the oldest churches in India built in the neo-gothic style. This Church is a religious place as well as the most Imposing and attractive monument. After church visit, this Bangalore Mysore day Excursion ends with driven back to Bangalore and will drop you at the hotel. Sightseeing & Excursion as per itinerary. Service of English speaking tour Guide in Mysore. Battery Car ride at Mysore Palace. One Fixed menu lunch at Local Restaurant. Transport by Air Conditioner Vehicle. Note - This package will be not operational on Sunday. I am living in Bangalore for some time. I wanted to visit close by places at first. So I along with some colleagues planned to visit Mysore by Indiator one day tour on "Mysore Sight Seeing"!.Service was excellent and the driver was driving very safely. A great trip once again! I have traveled to India once and I came through Indiator packages. This time also my trip to Mysore was awesome. Mysore Palace is very beautiful. My kids were thrilled. Thanks Indiator again! Overall I really liked the short trip to Mysore. Indiator took care of all my travel needs and I am thankful. I travelled from Bangalore to spend my Sunday in Mysore and it was seriously an awesome trip from transfer to guide and city excursion to a delicious lunch. My trip turned out to be a fabulous one with a great driver who showed me around. The tour guide was knowledgeable. Cheers!